Premier Auto Trade has announced further updates to their comprehensive product catalogue series with the release of the new Ignition Coils and Oxygen Sensors catalogues. The 3rd edition Ignition Coils catalogue includes in excess of 525 coils suitable for over 4650 vehicle applications, a 50% range increase, offering the highest number of OE coils available in the aftermarket. The new catalogue features technical information suitable for the trade including detailed pin out diagrams and applicable connector sets. The inclusion of QR codes for the full range allows technicians to scan individual coil images and easily access product specific technical information on their handheld devices and smart phones. For your peace of mind Premier Auto Trade now offers a 2 Year 40,000km Warranty on all their premium brand ignition coils. 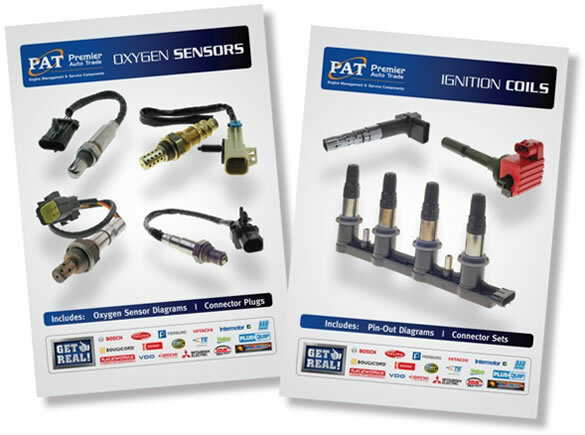 The new Oxygen Sensor and Air Fuel Ratio catalogue includes over 100 new part numbers, with more than 750 Direct Fit Sensors for over 4800 specific vehicle applications covering Petrol, LPG and Diesel vehicles, making it the largest range of its type in the Australian Aftermarket. The Premier Auto Trade range of direct fit oxygen sensors is a 100% OEM based sensor program. All Premier Auto Trade’s premium oxygen sensors are precision made for outstanding performance and manufactured to meet or exceed all original equipment specifications and test requirements. Direct Fit sensors offer significant benefits over universal sensors and ensures correct wire configuration. Direct fit sensors reduce the chance of incorrect connections when joining different coloured wire combinations and offer less chance of incorrect heater resistance when being fitted to the vehicle. This is critical especially on later models. When you supply and fit products from Premier Auto Trade, the Home Of Quality Brands, you can expect a product designed and tested to the vehicle manufacturer’s specifications offering superior performance and exact fit every time.